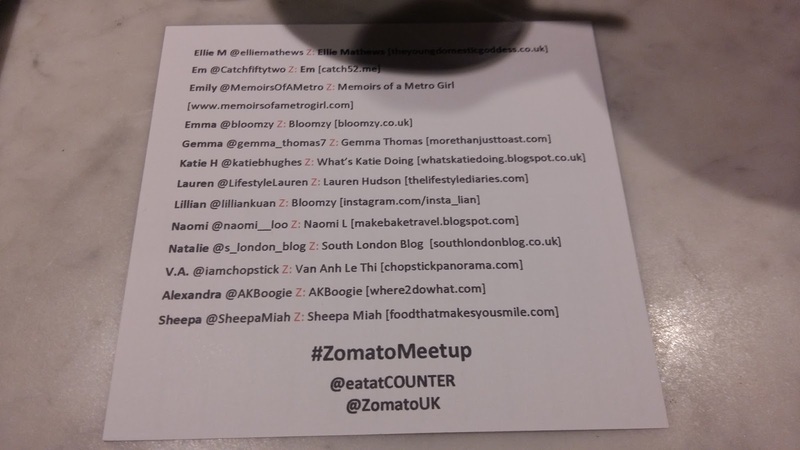 Last Sunday I ventured South of the River to attend a #ZomatoMeetUp with other fellow food bloggers, courtesy of Zomato. 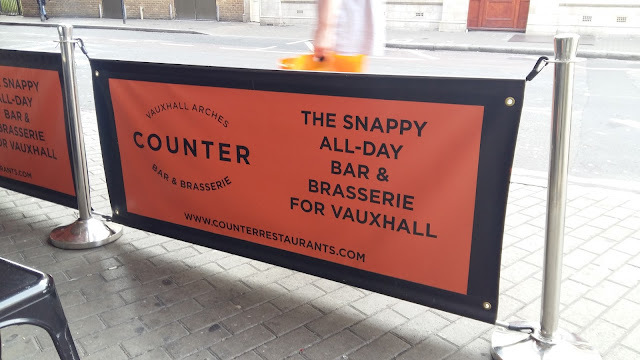 Counter is a bar and brasserie, serving “New-York-style contemporary food and drinks” under Vauxhall Arches, merely seconds from Vauxhall Station (note to self and to others, if taking the underground, take the exit leading to Vauxhall Rail Station. As I’m not particularly South savvy, I did lose my way slightly). 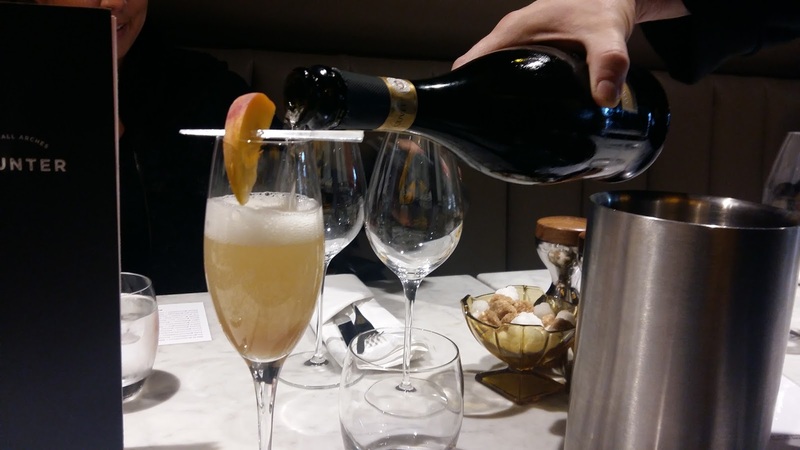 Upon arrival, I was greeted with a “build your own” bellini, which consisted of La Marca prosecco, peach puree and sliced peaches. It was a light and sweet start to my brunch. 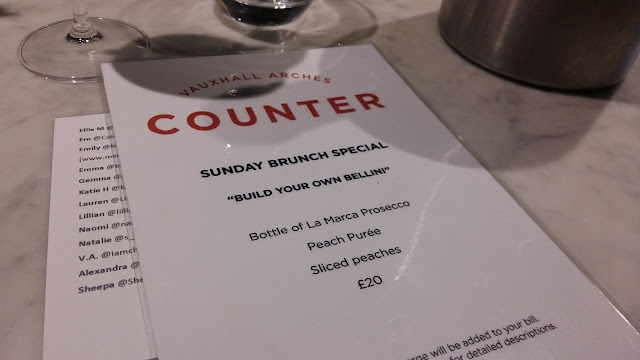 I was given the opportunity to try out Counter’s new weekend brunch menu which consisted of a variety of sweet and savoury dishes. 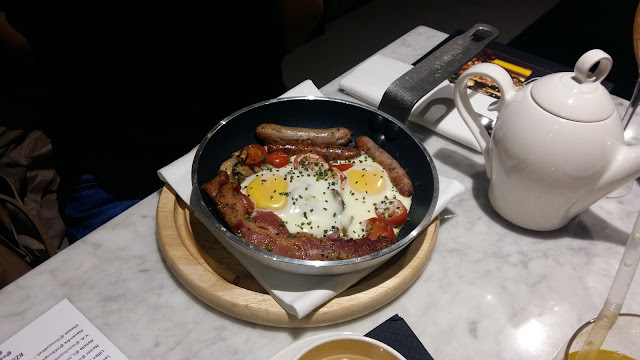 Quite a few of the dishes involved egg, which I’m not a fan of (in particular sunny side style) so those were eliminated. In the end I had the banana stuffed French toast with crispy bacon and maple syrup – I was sold on the bacon! I also ordered the bacon, mac and cheese balls which provided a bit of savoury to my meal. 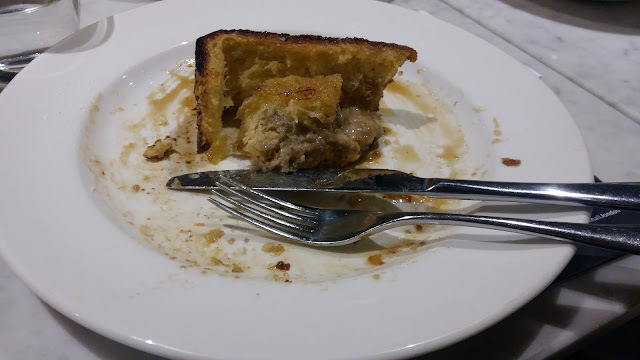 The banana filled French toast was extremely filling; I actually didn’t clear my plate which rarely happens! Despite my full stomach, I couldn’t resist the offer of dessert. 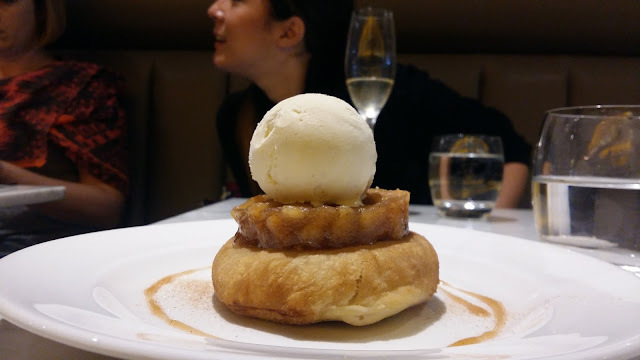 I opted for the fried apple pie with vanilla ice cream and cinnamon syrup. This was sweet; incredibly sweet. In fact there was a bit of a tart aftertaste because of the sweetness. 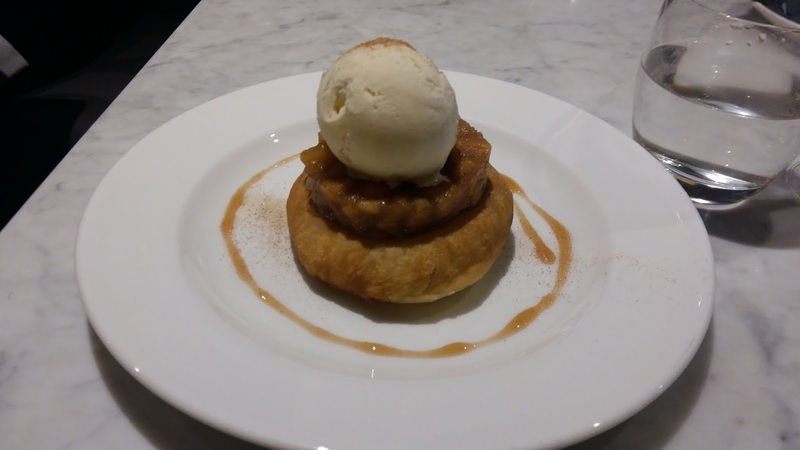 I counteracted that with the ice-cream but when that finished I couldn’t eat the rest of the apple pie by itself because of the taste. I don’t think my sweet main dish helped matters either. This meant another dish was left unfinished….however overall I did enjoy the food. Just maybe next time I won’t double up on sweet dishes! 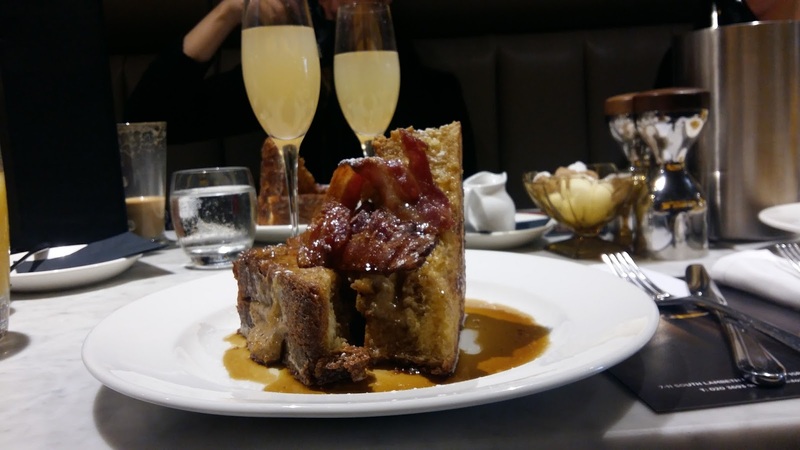 One of the many conversations that circulated around the table concerned service; the general consensus was that even if the food was mediocre the service must be good. 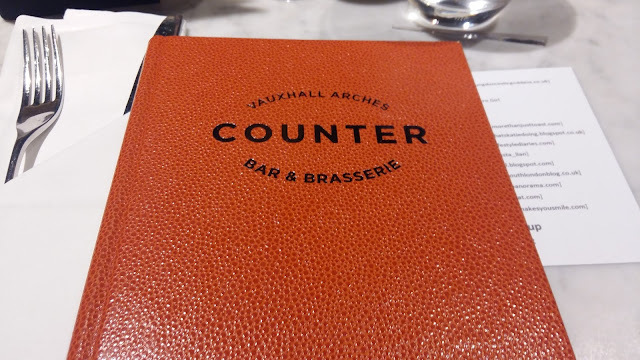 The service at Counter was great, when they served us and when I was doing a bit of people watching. 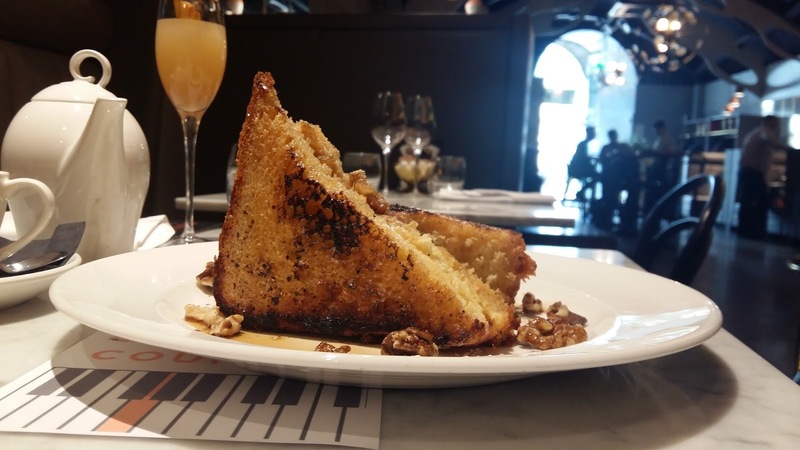 The waiters and waitresses were professional and lovely which made brunch pleasant. 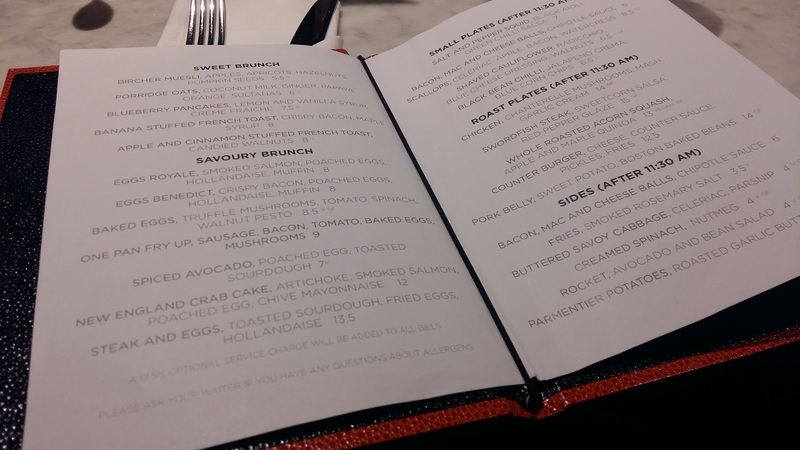 I would recommend Counter for meeting up with friends for a lazy brunch or a casual weekend date. Many Thanks to Zomato for the opportunity to try out Counter’s new brunch menu. 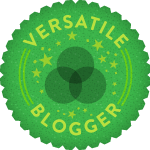 As usual, my opinions/reviews/views are my own! 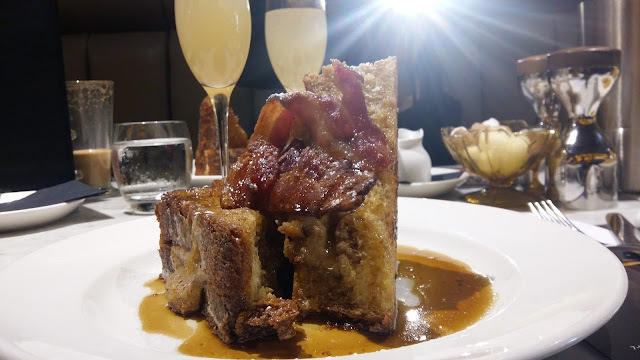 The banana french toast looks heavenly.